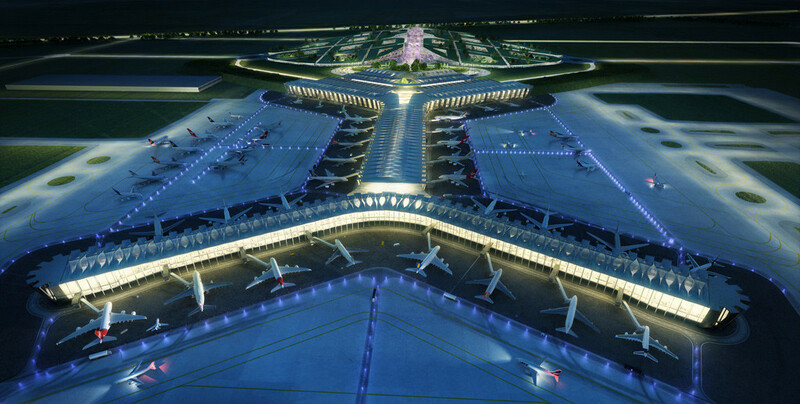 Miami - The International Air Transport Association (IATA) emphasized its strong support for the construction of a new international airport for Mexico City that was launched in 2014 to replace Benito Juárez International Airport. "The current airport is bursting at the seams. It serves 47 million passengers, almost 50% over its design capacity of 32 million. A new airport is vital to enable Mexico City to benefit more fully from its ideal geographic position linking North America and Latin America," said Peter Cerda, IATA’s Regional Vice President for the Americas. Aviation already makes an enormous contribution to Mexico’s economy, supporting 1 million jobs and 2.9% of GDP, including the economic contribution of foreign tourists arriving by air. But lack of infrastructure capacity at its capital city is degrading the country’s ability to capture an even larger share of the benefits of aviation connectivity, regionally and globally, according to a new IATA study. The study shows that for a country of its size, Mexico underperforms in terms of its integration with the global air transport network. This means that aviation is not fully delivering the benefits that it could with sufficient infrastructure. In this regard, Mexico trails countries with much smaller home markets, including Panama, the Dominican Republic, Colombia, Peru and Chile (i). "With its enormous local population, strong attractions for business and tourism, and geographic advantages, Mexico City has the ability to play a much bigger role on the world stage. But for that to happen, aviation infrastructure needs to be adequate and affordable, which is why it is absolutely vital that the new Mexico City Airport is built as planned," said Cerda. Αναρτήθηκε από geop στις 1:30 μ.μ.